This installation is part of an ongoing series of works that draw from the collection of images, film and video footage we made in Berlin over a period of many years. 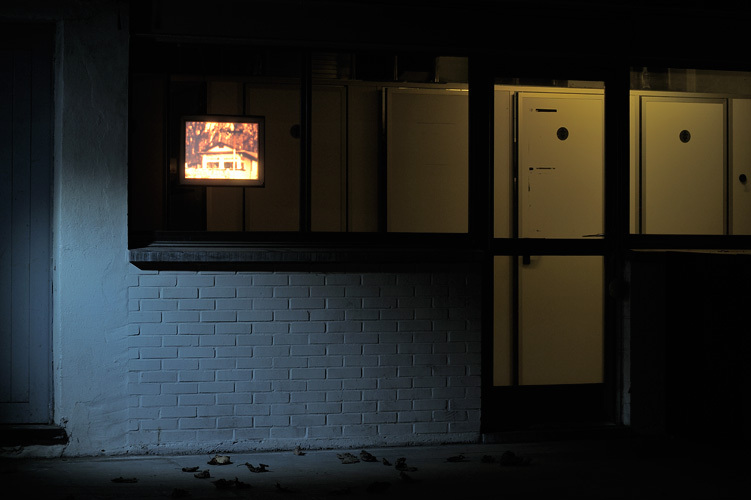 Each of the 18 projected video stills accounts for a small Berlin story, a reminiscence of a long gone moment. The images and stories fade away, as the viewer snaps the remote control to see the next one.